Most of us go to sleep with our phone within reach. This can be a problem, because keeping your phone next to you in bed often leads to a variety of sleep, health, and productivity issues. 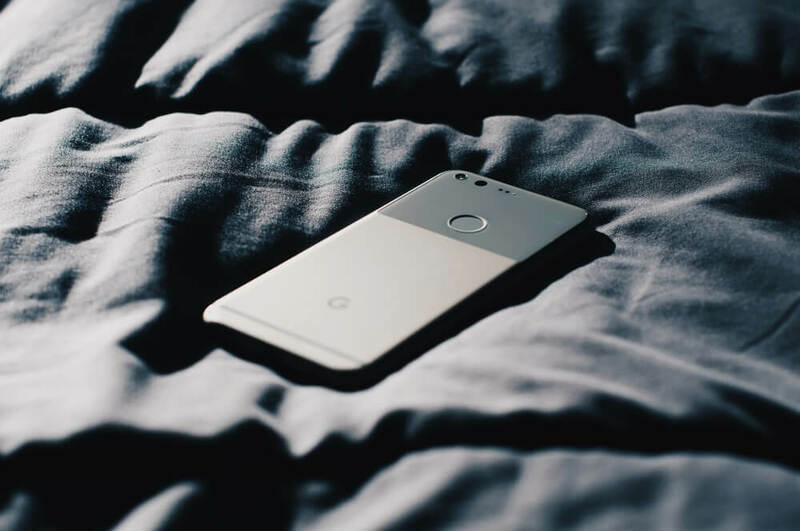 In the following article, you will learn why you are better off putting your phone out of reach when you sleep, and what you can do to reduce its negative effects if you decide to leave it near you anyway. You’re more likely to browse your phone, which makes it harder for you to fall asleep, and reduces your sleep quality. The negative impact of electronic-media usage before bedtime is well-documented, and occurs due to a multitude of reasons. Because of this, avoiding using your phone and other electronic devices before you go to sleep is considered to be an important aspect of sleep hygiene, which improves your sleep quality. It increases the temptation to use the phone if you wake up throughout the night. Normally, if you wake up in the middle of the night you would want to just go back to sleep. However, if you have your phone nearby, you now have the temptation to check messages or perform some other unnecessary activity on your phone, which is obviously not good for your sleep. It makes it more likely that your phone will be the first thing you see in the morning. This isn’t inherently a bad thing, but you should consider whether this is what you want for yourself. Basically, think about how starting your day by immediately checking your phone is affecting the way you feel, in terms of factors such as anxiety and productivity. Because of these issues, it’s better if you keep your phone out of reach when you go to bed. The further it is, the less temptation you will have to look at it before or during your sleep. You can also take into consideration how its placement will affect your overall morning routine, and put it somewhere where it won’t be one of the first things you look at in the morning. First, if the main reason why you need your phone next to you is so that you can use the alarm to wake up, you should consider getting a separate alarm clock instead. Use an app to filter out blue light from the phone screen. While exposure to light before bedtime is bad in general, exposure to blue light leads to the most issues in terms of sleep quality. By filtering it out, you solve a big part of the problem, without much effort on your part. Turn off the sound on your phone. This prevents late-night messages from interrupting your sleep or waking you up. In addition, you should also turn off any vibrations, which will have a similar effect. Note that if you’re using your phone as an alarm, there will usually be a setting which allows you to disable general sounds on your phone, while leaving the alarm sound enabled. Turn on airplane mode and turn off the WiFi. This can also help reduce the amount of sound coming from your device (with the potential exception of some notifications). More importantly, this removes the temptation to check messages or to look at things online. Use an app that blocks other apps during set hours. This is especially helpful if you have a specific site or app that you know is problematic for you (e.g. something that you browse for hours in bed instead of going to sleep). Keeping your phone next to you in bed can lead to problems falling asleep and reduce sleep quality. Keeping your phone next to you can also cause anxiety and productivity issues if it’s the first thing that you look at in the morning. If your main reason for keeping your phone within reach while you sleep is using it as an alarm, consider getting a separate alarm clock instead. If you decide to keep your phone next to you, there are some things you can do to reduce its negative effects, such as using apps that filter out blue light, or turning on flight mode.